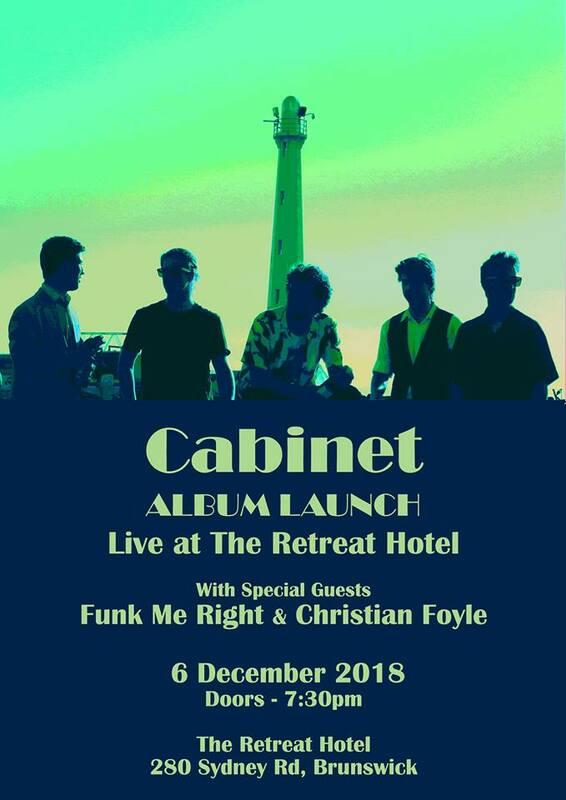 Cabinet will be launching their NEW ALBUM at the Retreat Hotel on Thursday the 6th of December! Cabinet are a five-piece original band from Melbourne. Playing together since 2016, the band blends elements of funk, soul, hip hop and jazz to create an original, groove-based sound. Cabinet recorded their debut self-titled album in the winter of 2018, successfully launching it in December. Supporting Cabinet will be solo house/funk artist Christian Foyle, and Melbourne band Funk Me Right. Come along for an unmissable night of Funk and Groove!